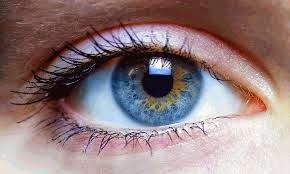 Eyes are most sensitive part of male or females, so we must care our eyes. Now we will try to provide you best eye care tips, health tips, awareness about eye care, to lead a healthy life so keep in touch with us. Clean your eyes with pure cold water regularly. This is one of the best way to keep eyes healthy and disease free. Roll your eyes up and down and then side to side. Now move your eyes in a circular motion. Repeat this exercise five to ten times to relax your eyes. Avoid looking directly at the sun, artificial light or shining objects. Direct rays of bright light can damage the retina. Maintain a good distance from the computer screen sit approximately 22 to 28 inches away from it. Sitting to close or too for may increase the strain on eyes.